Scan the streets around any police building in New York, and you’ll probably find officers parking their personal vehicles with flagrant disregard for the law. Case in point: NYPD Police Service Area 6 on Frederick Douglass Boulevard in Harlem. Readers sent these photos of Street Cheats, showing the entire block of Frederick Douglass between 147th Street and 148th Street lined with personal police vehicles angled-parked in designated “no standing zones,” including the entire length of an M10 bus stop. Someone show these photos to Mayor de Blasio so he’ll stop embarrassing himself by claiming that police are genuinely interested in keeping bus stops clear. 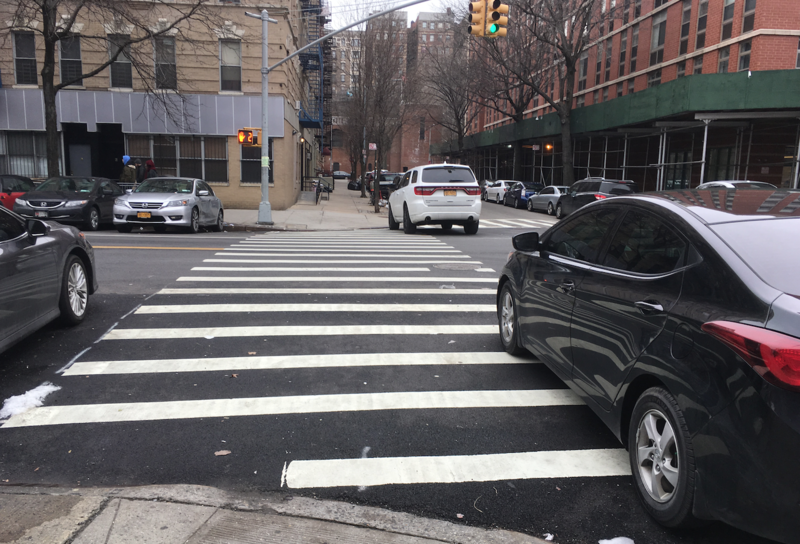 Oh, the pic of the cross-walks is nothing compared to the time I saw the world’s most huge black pickup truck with deeply tinted windows right in the middle of the crosswalk at the 148th St. crosswalk. At least in the picture they left some room to actually walk. Nice picture and sleuthing Wendy!!! 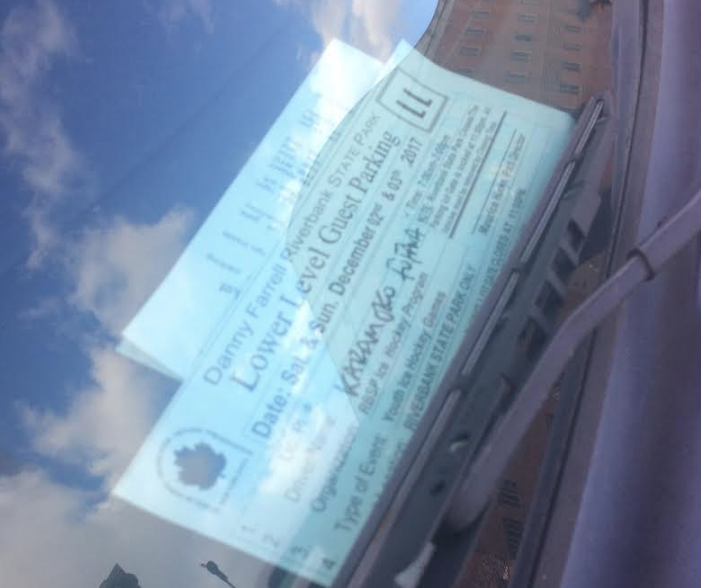 Correction: scan the streets around any police building in New York, and you’ll definitely find officers parking their personal vehicles with flagrant disregard for the public, and the law. Check this one out–it’s a tight squeeze behind those trucks and vans. DOT will now reveal the new bulb out design that will help shorten crossing distances for pedestrians – the personal vehicle bulb out. Scofflaw criminals. Someone needs to start arresting the blue-clad gang members; they think they are above the law.